One person is tailspinning into mental illness, another is hopeless and confused, and the legend of Orpheus in the underworld bubbles along underneath. A Generous Lover is part recitation, part hellscape recounting the helplessness of navigating mental health services on behalf of a loved one. 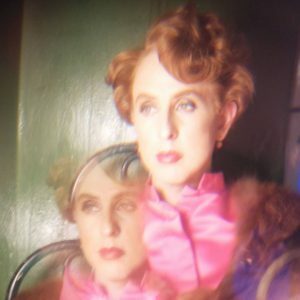 La JohnJoseph’s eloquent infusion of music, prose and myth sketches a portrait of life in limbo, queerness, and bipolar disorder: ‘mania is a generous lover who makes you feel so good you never want to leave.’ As their lover is fated to their illness, La JohnJoseph is destined to be on the sidelines, always waiting. La JohnJoseph doesn’t glamorise mental illness, but the dichotomy in A Generous Lover shows the painful beauty in teetering on the edge of sanity. Until Sun 26 Aug (not 20), Summerhall, 4.10pm, £10 (£8).